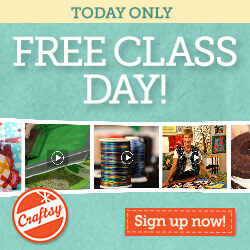 from blank pages...: FREE Craftsy Class, Today only! 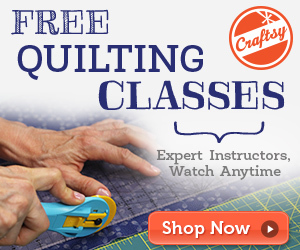 Have you taken a class on Craftsy yet? If not, today is the day you should try one!! New members receive one free class, today only! I've taken a few, and they are great! There are some free mini ones you can sign up for as well. So be sure to go look around! I really like Elizabeth Hartman's class, or Angela Walter's has a great FMQ class.